The final round of the WGC-Bridgestone Invitational at Firestone CC is in the books. Dustin Johnson is your winner at 6-under par. Here are the final Frequently Asked Questions, Bridgestone edition. 1. 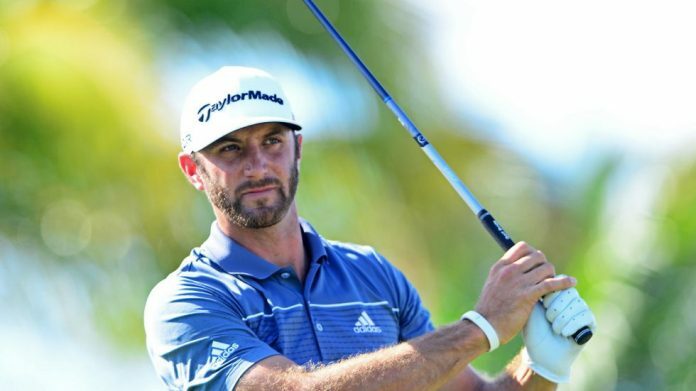 How did Dustin Johnson win? Johnson mostly won by shooting consecutive 4-under 66s on Saturday and Sunday. This helped him overcome a bad second round where he shot 3-over 73. DJ also had help from Jason Day who uncharacteristically blew up over the final four holes. (More on that below.) Johnson’s final scores were 69-73-66-66. 2. How did Jason Day end up in third place? Day seemed to be on cruise control through 14 holes. Then he bogeyed the par 3 15th hole, dropping him to 6-under par, which at the time seemed like a blip. But then the wheels came off on the 16th as Day sprayed what should have been a simple lay up off the tee. He then tried to get cute on the punch out, and instead of plopping it in the fairway, ending up plopping it into the drink. That was the beginning of the end. He’d go onto double bogey. The world’s #1 golfer finished up on 18 with another bogey, but by then it was all over. 3. How did the other member of the new Big 3 do today? Jordan Spieth played well today, shooting a 3-under 67, and finishing in a tie for 3rd place with, among others, Day. 4. Who had the best round today? The lowest score today was a 5-under 65 by Zach (the other) Johnson. The two-time major winner had seven birdies and two bogeys on the day. 5. Who had the worst round? Amazingly it wasn’t Steven Bowditch today. The worst score on Sunday was a 7-over 77 by Marc Leishman. 6. Who came in last? Bowditch followed up his 80 yesterday with a respectable (for him) 4-over 74 today, finishing the tournament at 28-over par. Yes, 28-over par. Which was good enough for dead last and about 50 grand.